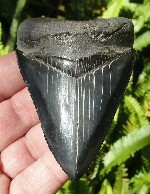 The Megalodon was a Prehistoric Carnivorous Fish at the pinnacle of shark evolution. 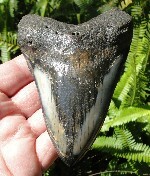 Carcharocles (Carcharodon), an apex predator, comes from the Greek word for “big tooth” or "giant tooth". 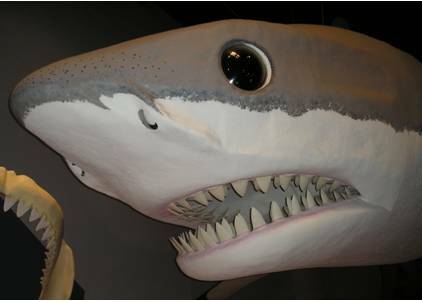 This shark was as gigantic as a bus at a length of 60 feet (18.5 M) and estimated to have weighed between 60-75 tons. 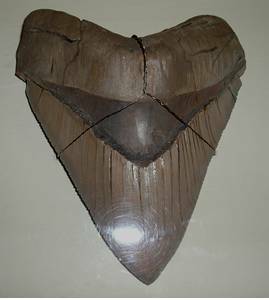 Their prehistoric shark skeletons were made of cartilage, like those of modern sharks. 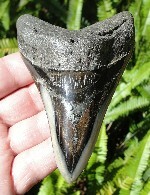 This resulted in poor to no fossilization of their skeletons and therefore is not found in the Florida fossil record. 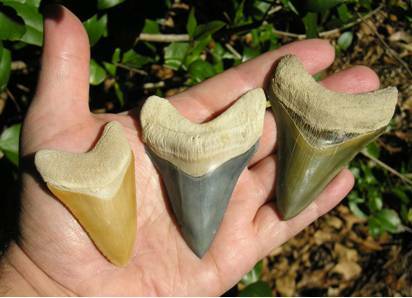 Almost exclusively known from its giant fossil teeth, no complete fossils have been found to date. 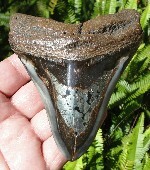 Only a rare few single vertebrae have been discovered. 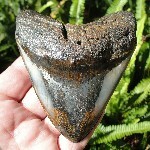 The largest tooth ever discovered measured 7.25 inches in slant length. 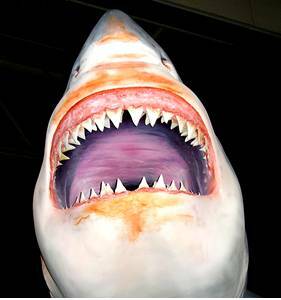 Most experts believe it is closely related to the Great White Shark in looks and form, but much more ginormous. 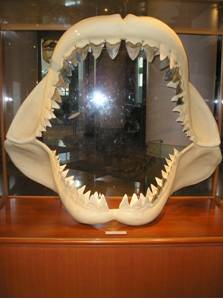 This Monster Shark ate whales, fish, and other marine mammals. The colossal beast had massive jaws, and may have consumed as much as 2,500 pounds of food per day. This Giant Marine Predator lived 23 Million Years ago and went extinct about 1.8 Million Years ago. 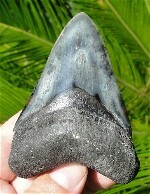 The Giant Prehistoric Shark lived in all of the world’s oceans and was the largest predator. 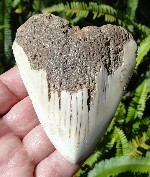 - Click on each fossil picture below to learn more.